Britain’s banks will face up to another major mis-selling scandal on Thursday when the City regulator announces details of a compensation scheme for insurance customers that could cost the culpable lenders up to £1.5bn. Sky News has learnt that the Financial Conduct Authority (FCA) is finalising a statement that will set out the terms of a redress scheme for consumers who bought identity theft and credit card protection from CPP, a York-based company, over a period of several years. The FCA is to announce that about a dozen financial institutions – including all the major high street names, such as Barclays (LSE: BARC.L - news) , Lloyds Banking Group (LSE: LLOY.L - news) , HSBC (LSE: HSBA.L - news) and Royal Bank of Scotland (LSE: RBS.L - news) – have signed up to the deal. Insiders said the figure contained in the FCA statement, which will be timed to coincide with the credit card insurer’s half-year results announcement, would fall between £1bn and £1.5bn – slightly lower than some recent estimates. Some of the banks involved will make separate announcements detailing their individual financial exposure. Under the terms of the agreement, the banks which sold CPP products will write to customers to inform them that they may be eligible for compensation. The industry along with CPP and the FCA will then administer a mechanism called a solvent scheme of arrangement, sanctioned by the courts, to deliver the funds. The initiative will be unusual because CPP customers will be asked to vote in favour of it before it can get underway. Although the £1.5bn payout pot is significant, it is tiny by comparison with the deluge of funds that banks have had to set aside for compensating customers who were mis-sold payment protection insurance. Recent additions to the provisions by the biggest banks have taken the total to more than £15bn, while they are also confronting a multibillion pound bill for mis-selling products designed to protect against sharp movements in interest rates. Details of the CPP compensation scheme will emerge almost a month after it secured its immediate future by negotiating a new financing deal with its lending banks. The agreement involves deferring £23m of commission payments due to be paid to the banks over the next year, and a £13m borrowing facility. The agreement with Barclays, HSBC, Royal Bank of Scotland and Santander UK came as a relief to hundreds of CPP staff employed who have faced an uncertain future during on-off talks about a takeover of the company. Under the terms of the new financing deal, however, CPP would be in default if more than 25% of its customer base successfully applies for compensation as part of the redress scheme. CPP, which calls itself an "international life assistance provider", operates across more than a dozen countries and expanded rapidly after listing on the London Stock Exchange (LSE: LSE.L - news) in 2010. It was accused by the regulator of overstating the risks of identity theft, and of providing expensive insurance policies which were effectively already provided automatically by the banks. The company sold more than four million policies to customers, many of which were the result of introductions by the major high street banks. It recently disposed of its US business in an attempt to raise funds following a £10.5m mis-selling fine imposed by the City regulator last year. CPP is one of several specialist insurers to have fallen foul of regulators in recent times. Homeserve (Other OTC: HMSVY - news) , which provides insurance against household mishaps, was also the subject of mis-selling allegations in 2011. 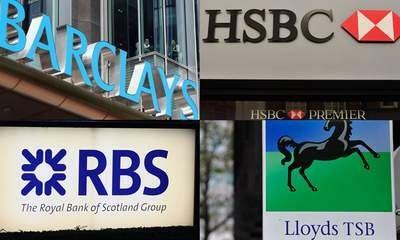 CPP, the FCA and the major banks all declined to comment on Wednesday.